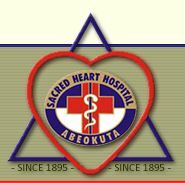 The Sacred Heart Hospital Lantoro Abeokuta Ogun State, School of Nursing, Graduation Ceremony Date, Academic Gown, Hospital Badge, Scroll, Invitation Cards and Programme of Events Notice for June, 2018. This is to inform all qualified nurses who graduated from the School of Nursing, Sacred Heart Hospital Lantoro Abeokuta Ogun State that the graduation ceremony for qualified Nurses will take place on Thursday, 7th June 2018. Each graduand will pay a sum of N15,000.00 (Fifteen Thousand Naira) only, for academic gown, Hospital badge, scroll, invitation cards and the programme of events.